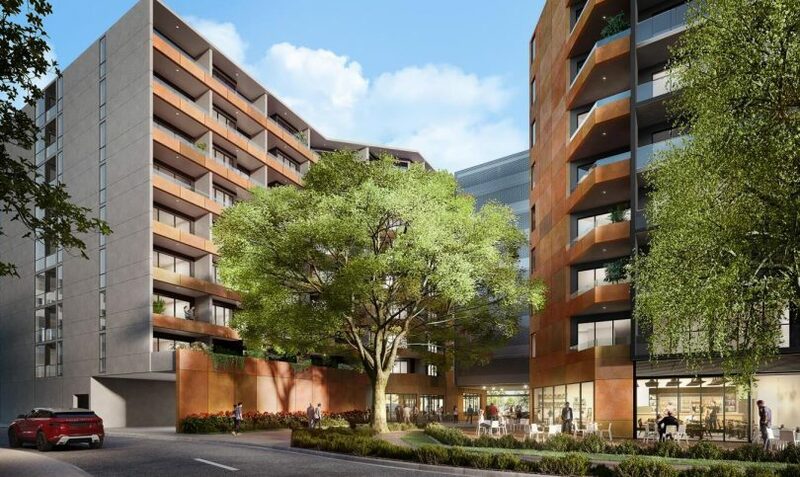 Plans for the final stage of the Founders Lane precinct in the city have been unveiled, revealing a nine-storey mixed-use building with ground floor retail and 254 apartments. 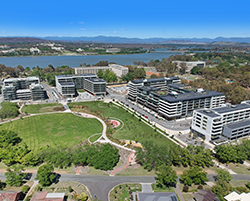 JWLand has lodged a development application for the building, the fourth stage of the precinct located between the Canberra Centre and Gorman House. 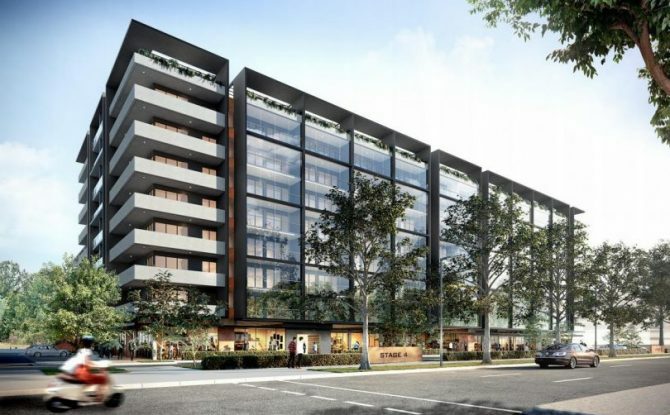 The almost $43 million project fronting Cooyong Street will include 15,505 square metres of residential space dominated by one-bedroom apartments, with 202 of that size proposed, along with 50 two-bedroom and only two three-bedroom dwellings. On the ground floor, there will be 1470 square metres of retail including eight commercial tenancies and one community space. The DA says the proposed development provides a high level of internal and external amenity for both residents and visitors, with a number of communal areas incorporated throughout the site design. 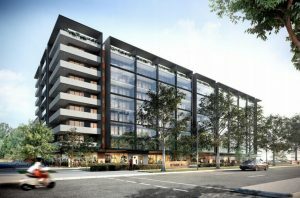 The development features a central major landscaped open space, including retained registered trees, in tandem with ground floor commercial spaces and private open spaces. “These spaces have been designed to accommodate communal congregation, leisure, and general recreation activities with the aim of creating a vibrant community feeling within the precinct,” the DA says.